Whether it is your favorite team or a rival team that will be rushing toward the end zone this upcoming Sunday, chances are you’ll be tuning in to see who wins the title. Maybe you’ll be traveling to watch the game with friends and family, or hosting a Super Bowl LII party yourself! Here at Appleton Trophy, we’re sports enthusiasts. And we want nothing more than to help you have slam dunk, home run, parties and tailgates that are worthy of yelling “touchdown!” To set you up for success, we chose our top party and tailgate essentials you’ll need in order to be the “champion host” this weekend, and for all future sporting events and parties. We live in Wisconsin, which means there will be a common item at parties across the state, and that’s cheese! 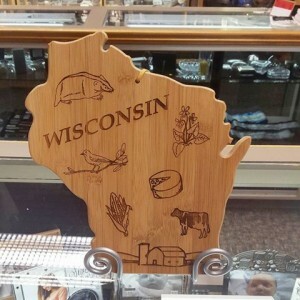 But what says “Wisco pride” better than fresh cheese, sliced on a cutting board in the shape of the great dairy state? 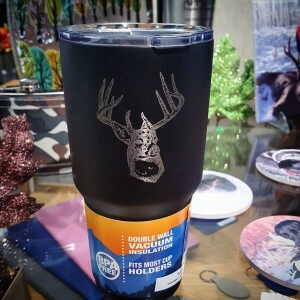 Help your guests to hoot, holler and “cheers” over cold drinks with these insulated mugs and can coolers. Put your team’s logo on it for an added level of personalization and team pride! A tailgate party wouldn’t be a tailgate party without game day food! Fill your Dune Party Bowl with crowd favorite snacks, and for all larger food items, be sure to pack along your custom, US Dune 10” Bowl! 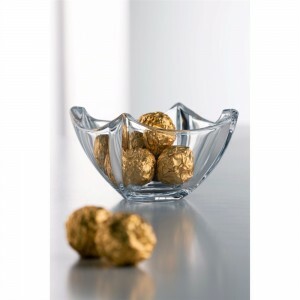 Snacks aside, both are sure to impress your guests with their exceptional quality and iridescent, lustrous detail. 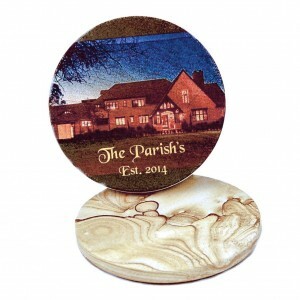 Personalize every detail, down to where your guests set down their drink! These full color coasters can be customized to feature any image, including the names and faces of your favorite players and sports teams. Made to last, Appleton Trophy products allow you to never compromise quality for customization—and to keep hosting parties for many years to come! If interested in hearing more about any of the above products, get in touch! Call us at 920-739-3569, or stop in to meet us in person. We are open Monday through Friday from 8 a.m. to 5:30 p.m., Saturdays from 9 a.m. to noon, and closed on Sundays.